Gill Madden is a member of the senior management team at FleishmanHillard’s Dublin office. She has been with FleishmanHillard for over 18 years and was appointed to the Board of Directors in 2009. As head of the office’s brand marketing team, Madden’s clients include some of the best-known global and local brands and companies. She is the media relations lead for Europe’s longest running science, technology and skills exhibition for second level school students. Now entering its 53rd year, the media communications plan for the BT Young Scientist & Technology Exhibition has been managed by Madden for 16 years, and has developed from a traditional schools science fair into an event that fosters the development of ideas, innovation and entrepreneurship in our teenagers. In addition, she is client relationship manager to some of the agency’s top clients where she works alongside many countries and agencies to ensure delivery of European campaigns tailored to the Irish market. In this role, she offers strategic counsel direct to the client, oversees every aspect of planning and budgeting as well as leading a dynamic team to drive strategy and ideas across a broad range of brands and companies. Madden is a specialist in the marketing communications and consumer brands area. She has created, coordinated and managed campaigns across diverse industries including telecommunications, banking, travel, public service and FMCG sectors, as well as working with a number of social awareness and charitable groups. As part of the winning account team that received Ireland’s first Cannes Lion award for PR, Madden coordinated the campaign which took home the award for the P&G Paralympics Golden Moment of the London Games 2012. She is the winner of three Public Relations Consultancy Association (PRCA) awards for the BT Young Scientist & Technology Exhibition in 2007 and 2014 as well as Pampers UNICEF in 2010. 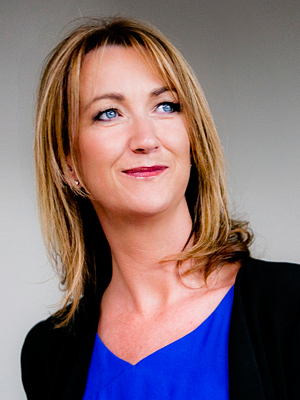 She is a member of the Dublin Chamber of Commerce and holds qualifications from the Public Relations Institute of Ireland and the Marketing Institute of Ireland. Prior to joining the agency, she worked at Edelman Worldwide.